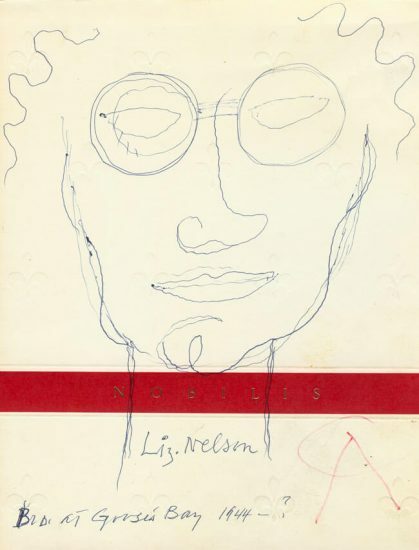 Numbered from the Roman numeral edition of 50 in pencil in the lower left. 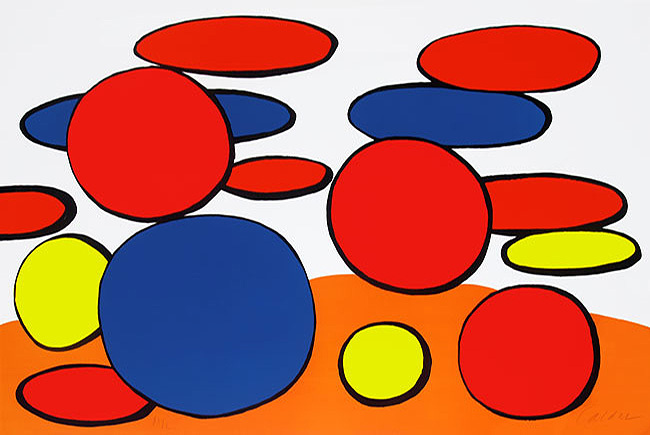 Calder utilizes strong color contrasts and bold, black lines to create a playful piece that relays the impression of energy and movement. 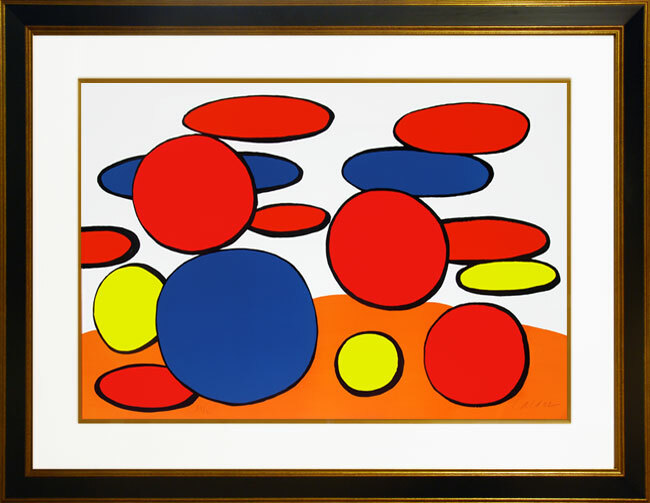 Floating freely, the red, yellow, and blue circles dominate the composition, while the orange and white landscape provides a sense of perspective and depth. 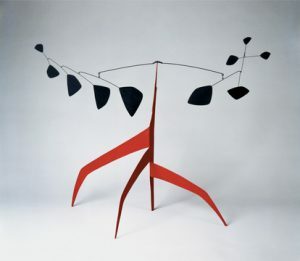 This delightful contrast exemplifies Calder's masterful skills in the use of color and abstraction to relay his vision. 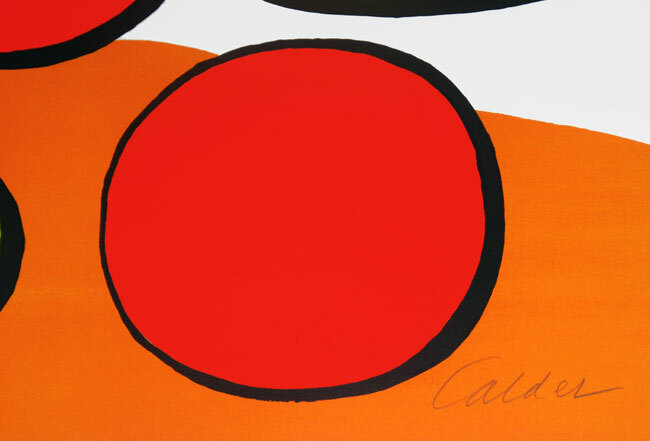 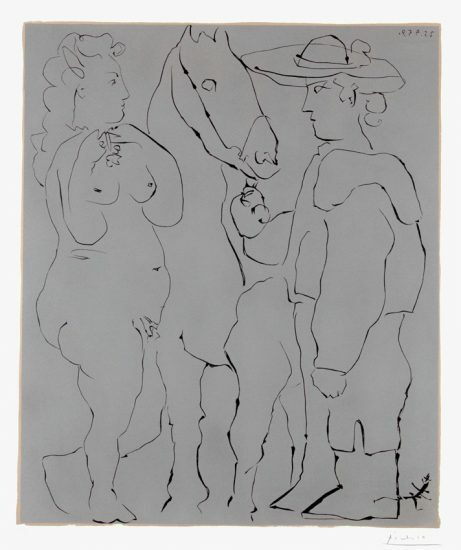 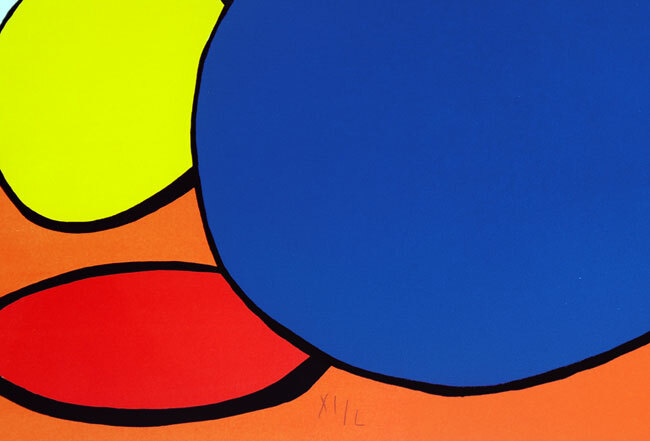 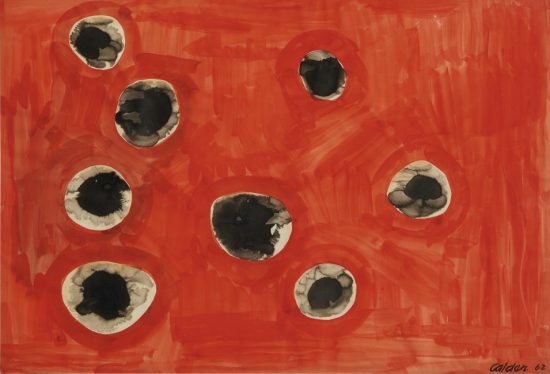 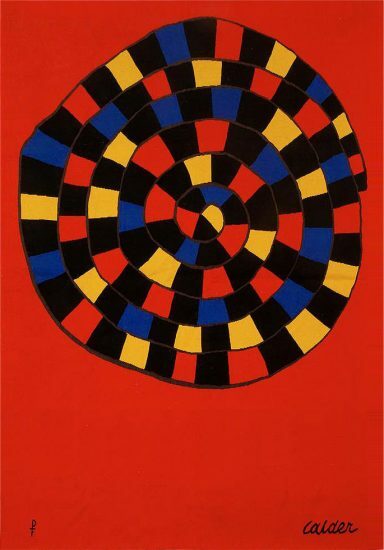 Created c. 1969, this color lithograph is hand signed by Alexander Calder (Pennsylvania, 1898 - New York, 1976) and is numbered from the Roman numeral edition of 50 in pencil in the lower left.